I love improv. I love it for the laughs, for the nuance, for the unexpected, for the discovery. As much as standardization makes our lives easier on a grand scale, improv is the one constant that makes life simpler moment-to-moment. The classic “workaround” is usually when an improv unintentionally becomes a standard. Workarounds are neither good or bad, they are simply coping mechanisms. 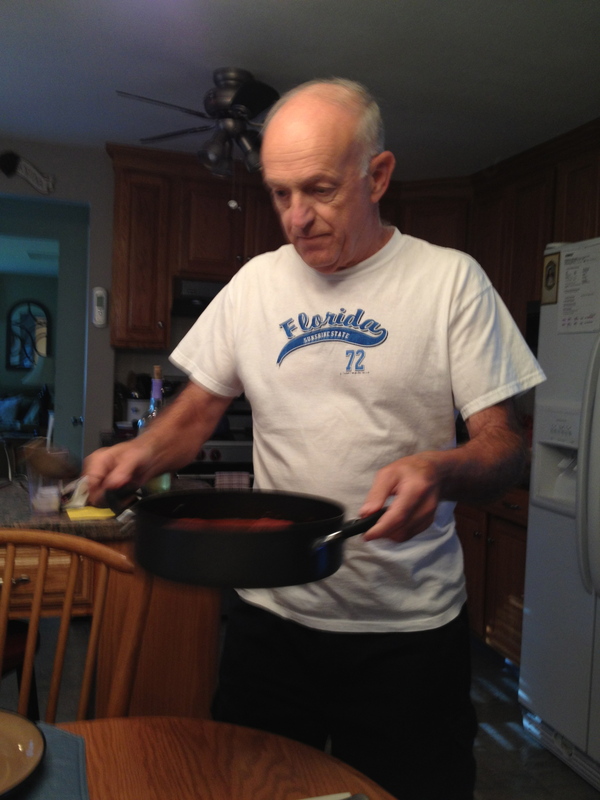 The most celebrated improviser is the chef. He is continuously enhancing his recipes, pushing his knowledge, and testing new methods, all with the explicit goal: to make it taste good. Which takes me to my newly wrecked childhood memory. 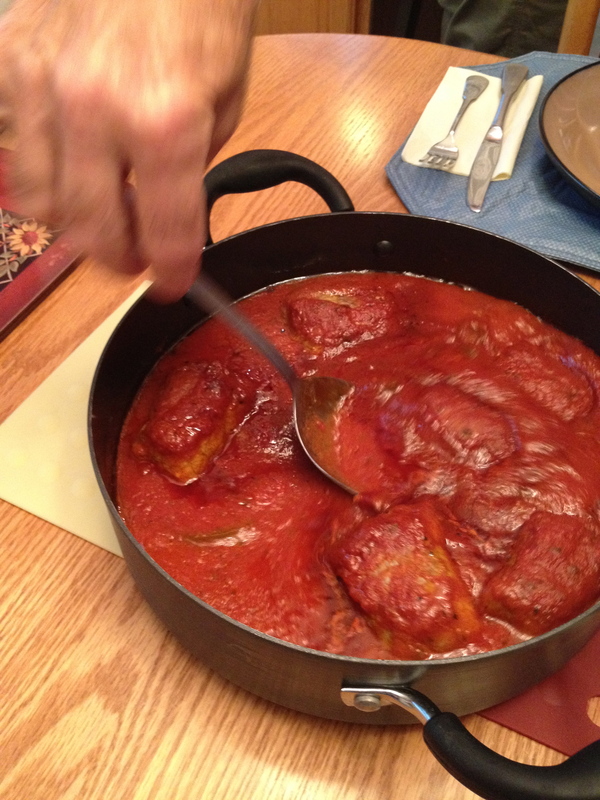 By far my favorite dish growing up was my dad’s Braciole: cheese and garlic rolled into thinly sliced steak, tied into a roll, and simmered in tomato sauce until the meat nearly falls apart. (my mouth is already watering). Decades of these delicious rolled morsels dot my memory. I didn’t like his answer. He was screwing with my delicate childhood memories. But what his answer reveals is the truism: simple wins over complex. Workarounds are simply trying to find the path of least resistance from A to B. It doesn’t matter if you are a doctor, mechanic, engineer or chef; accomplishing our tasks with less pain (and more joy) is what we’re all shooting for. So, with a big sigh, I must confess I love the envelopes too. 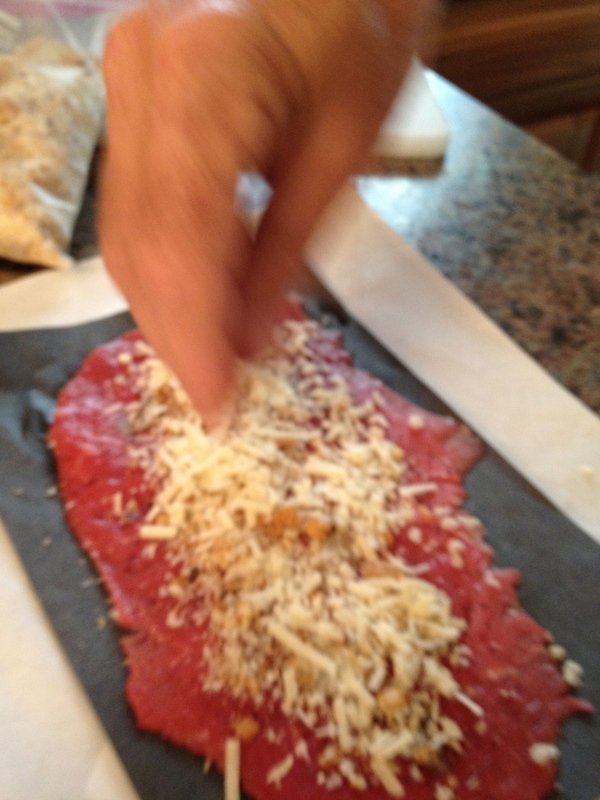 spread 2 tablespoons of cheese, a sprinkle of oregano and parsley. 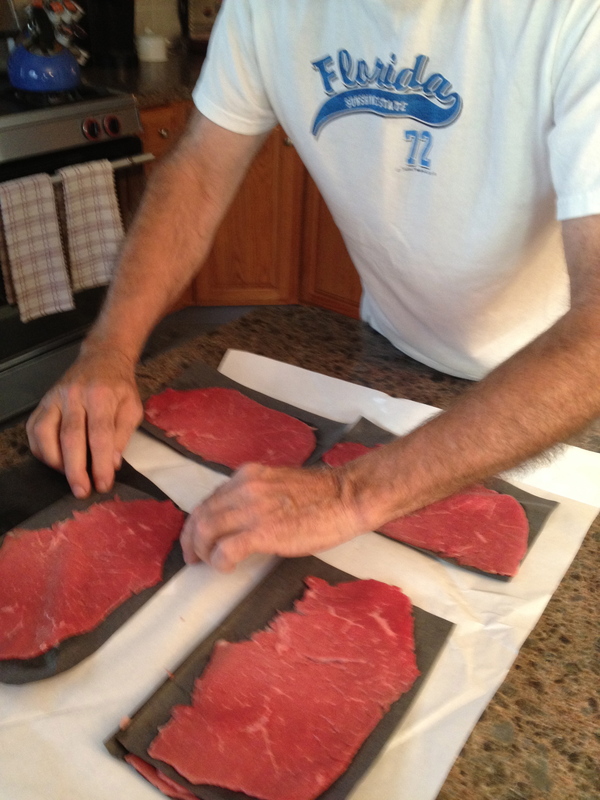 Fold the each steak into an envelope, and secure it shut with two toothpicks (scroll to bottom to see video). Contents of the steak should be sealed in. 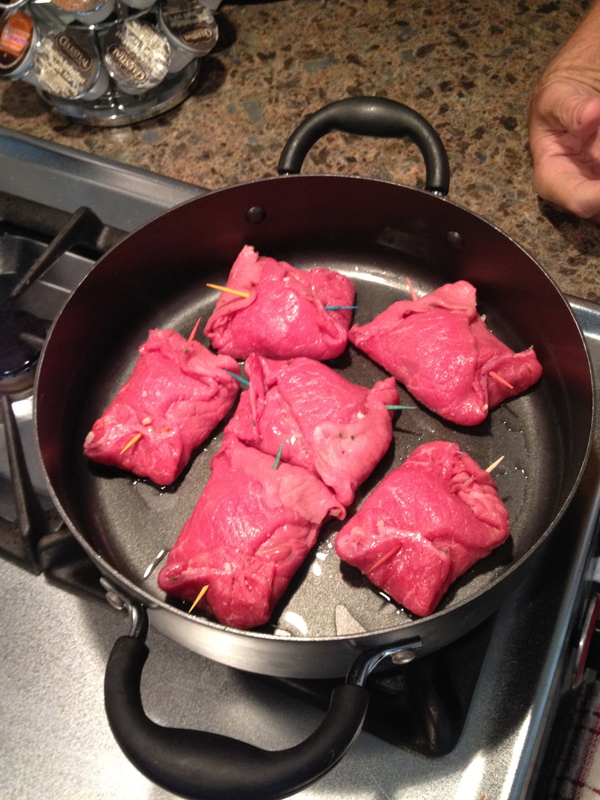 In a hot pan with olive oil, quickly sear the steaks on each side (about 90 seconds a side). Submerse the steaks in tomato sauce and simmer for 4 hours. Or place into a crockpot and cook on low for 8 hours. 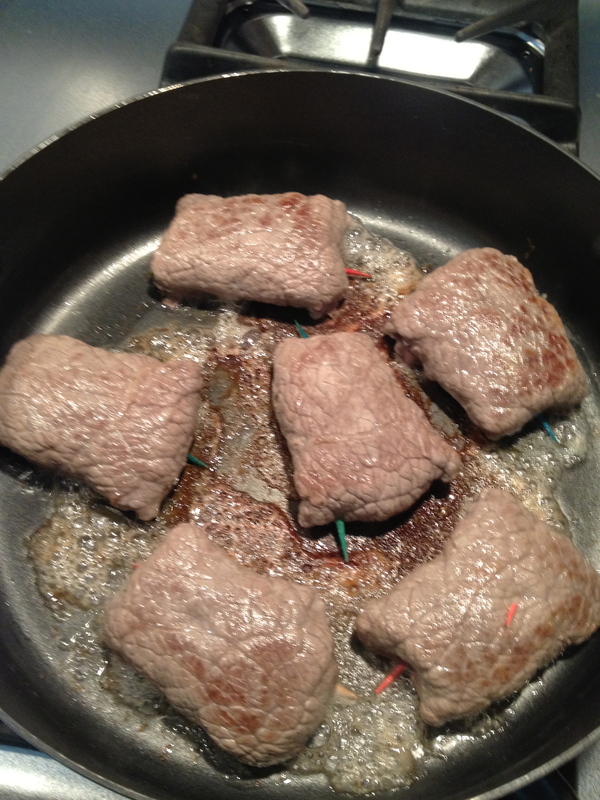 Remove steaks from sauce and remove all the toothpicks. Enjoy with side of pasta, salad and a good red Italian table wine.